The summer months are a common time for sight seeing and vacationing. But just because you're an OTR driver doesn't mean you can't partake in some of the summer fun too! Part of the reason individuals get started in this career is because they want to see the country. And while truck drivers do get to see a lot of it from an office window, it's still worth it to get out of the truck from time to time when possible to actually SEE some of the unique places this beautiful country has to offer. Sightseeing can be done as a professional truck driver, it just requires a little extra effort and planning. Today I'm going to discuss some popular attractions you might consider seeing if you have the time during a 34-hour restart. "St. Louis is very accessible from the Pilot in East St. Louis, IL. You walk about a quarter mile (just over the I-70 overpass) to a convenience store where you can take a bus 5 minutes down to the subway station. 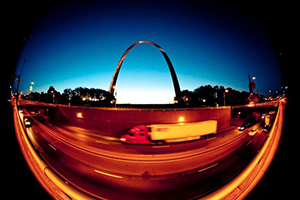 The train will take you into the heart of St. Louis so you can tour the Gateway Arch or Bush Stadium." 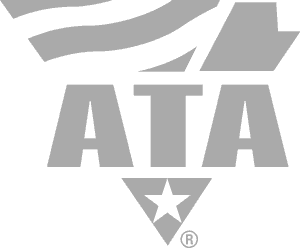 After September 11, commercial trucks were banned from traveling across the Hoover Dam. The Hoover Dam Bypass was constructed in 2005 (completed in 2010) to remove through traffic from the top of the dam, eliminating problems with sharp turns, narrow roads, and low travel speeds. The Bypass was constructed right over the Colorado River. Though it's difficult to see the dam from the bridge due to high sidewalls (which were constructed to prevent people from slowing down to view), there is a public parking lot right off US 93 that visitors can park at to stop and admire the view. If you have more time and somewhere to park, you could also do a tour of the dam. If you travel into New York or Canada, you might get the opportunity to see Niagara Falls on during this ourney! While you generally won't see it from the road, if you had some free time or a reset, you might be able to check out the Falls. Grab a cab or city bus and make your way down to the Maid of the Mist for a nice mini-vacation during a reset. Lots of truck parking around Vegas makes this a perfect place to take a 34-hour reset when in the area! Check out the casinos, see a show or just walk the strip. It's very easily accessible for trucks. I'm sure it goes without saying, but if you decide to check out Vegas, be responsible. 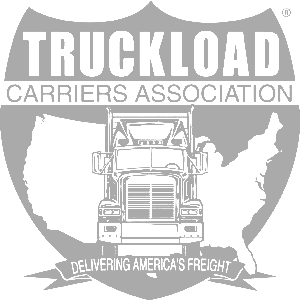 You still must protect your CDL and get the load delivered on time! One thing to remember is that commercial vehicles are not allowed on the strip, so you'll have to reach hotels and casinos from other side streets. How would this list be complete without so much of an acknowledgment of the biggest truck stop ever -- Iowa 80! Located in Walcott, Iowa, the Iowa 80 boasts the World's Largest Truckstop. This truck stop on steroids features 24 showers, a movie theater, a church service, a pet wash, a chiropractor, a barber, and a truck service center, on top of all the fast food stops! Make sure to stop by next time you're through the area -- Iowa 80 is right off I-80 at exit 284. 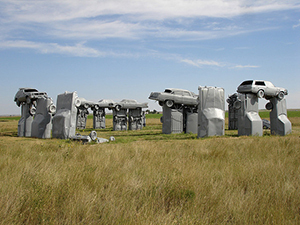 Located in Alliance, Nebraska, Carhenge is just what it sounds like -- a recreation of Stonehenge made from vintage American cars. Carhenge was created in 1987 by Jim Reinders as a memorial to his father. This public art installation is made up of several old Cadillacs buried nose-first into the ground. It's located along I-40 and is visible from the highway. Though the art is on private property, visiting is encouraged. Visitors are also encouraged to spray paint the vehicles. Who wouldn't want to see the world's largest ketchup bottle? This ginormous bottle of ketchup is actually a water tower near Collinsville, Illinois near Route 159. When talking about traveling and sightseeing on the road, many drivers say it can't be done or that there's not enough time. Nonsense! It can be done with a little planning, just like anything else. Call up friends and/or family who live near where you'll be and ask if they'd like to spend the day together! They can pick you up from the truck stop and you can see the area together. This is a great way to get out of the truck and spend time with loved ones as well. Get a rental car for your time off. Generally rentals are no more than about $30 a day, and they're a headache-free way to get around town. If you're in a larger area with a public transportation system, this can be an easy way to get around. Generally bus fare is pretty inexpensive, and you might be within walking distance of a bus stop. Kill two birds with one stone by keeping a fold-up bicycle on the truck with you! You can easily bike from the truck stop to your destination, and you'll get some exercise in there too. Double whammy! Last but not least, you could always just...walk. Within reason, of course. If the attraction you want to see is only a few miles away, consider making the hike there to get in some physical activity! You should always be careful with this, though -- don't walk anywhere you feel unsafe. Obviously your ability to travel on down time is dependent upon your carrier's rules, but there are all sorts of things you can see when you have some time off -- museums, national parks, attractions -- the list goes on! The best time to sight see is when you have a 34-hour restart or a few days off. Take advantage of those 34-hour restarts -- you're in a different part of the country every day (probably). Might as well see the locale while you're there! Sight seeing on resets is possible, it just takes a little planning! 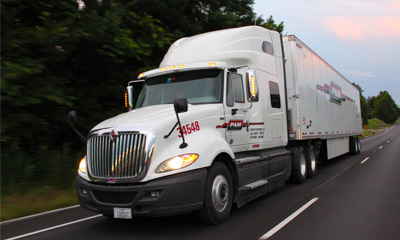 To get the ball rolling with company paid CDL training from Driver Solutions, just take a few moments to complete the online application. It'll take just a few moments to complete the online application as we gather some basic info needed to find the right opportunity. 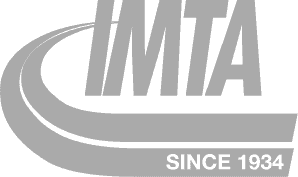 Once the application has been completed, you will be able to schedule a time to speak with a representative about the current truck driver job openings in the Indianapolis area.